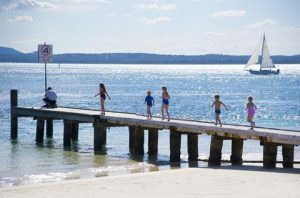 Just 2.5 hours from Sydney, Port Stephens is ideal for family holidays, and for those yet to book in for the October school holidays, Marty’s at Little Beach has a last-minute deal, with family apartments available from $270 per night. 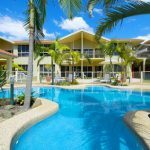 Quietly nestled between two of Port Stephens’ best beaches – Shoal Bay Beach and Little Beach – Marty’s at Little Beach offers one and two-bedroom self-contained apartments, nd motel-style rooms. While in a secluded spot, the property is close to a host of family activities including whale and dolphin cruises, bushwalks, kayaking, cycling, snorkelling, go-karting and tobogganing. Other attractions in the area include a shark and sting-ray centre, golf courses, a wildlife park and Stockton Sand Dunes – the largest sand dunes in the southern hemisphere, where families of all ages can enjoy sandboarding down its sandy slopes. A range of eateries can be found nearby, including restaurants, cafes, fast food and fish and chips. Marty’s at Little Beach offers a heated pool and BBQ area as well as free wi-fi and cable TV in each room. Rates for a family of four in an executive two-bedroom apartment are $270 per night, with a minimum three-night stay. The deal is available during school holidays, from September 28 to October 14, 2018. 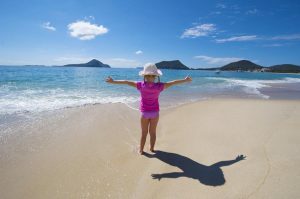 The deal: School holiday bookings for $270 for a family of four. For minimum three-night stays between September 28 and October 14, 2018. Deal subject to availability.